February | 2019 | seedLinG! Hello! This is still in process, more to be added and edited tomorrow to wrap it up. What are the “Bridge Years”? Cortland teachers started discussing in earnest the school’s long-term goals and future together in 2016. We targeted and launched the Bridge Years (September 2018 – August 2020) with the idea that more brains make for better thinking, and shared, common goals for the future of Cortland Preschool are worth planning for. Who is on the committee? The Bridge Years Committee is a “come and go” committee comprised of Cortland mentors like Neal Bader, Elaine Coorens, Mary Pat Garr, Mary Artibee, past and current Cortland teaching staff, past and current Cortland families. Has been great to revisit every little scrap of paper, notebook, etc. that has led us from the Bridge Years April 2018 “start” to today. Meeting 1 Overview: Met as a group with special guest, Reggio Director Andrea Cocke, at Dos restaurant to discuss our growing and learning with regard to the Reggio Emilia approach, what our community wants and needs (namely, a Reggio based school that continues through at least 8th grade), identify potential partners within our community who might support our goals, consider how Cortland might grow in “lab” approach through hosting student teacher candidates, teachers in training, other simpatico school delegates. 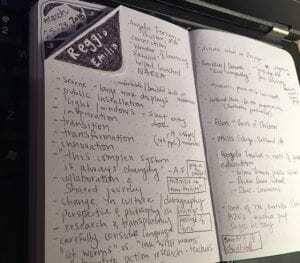 Recap Ms. Amy’s first trip to Reggio Emilia and goals that were generated in Italy. Ms. Amy to identify local, trustworthy realtor and developer. Action Items: Ms. Amy to explore a conversation with Scuola Enrico Fermi. Alumni Survey info will be synthesized into useful info for our next meeting, and to best benefit current families, preliminary “feelers” have been sent out to learn from pre-existing programs in our area that successfully embrace a sliding-scale tuition model, starting with Families Together Cooperative. Long Game: Continue to explore potential for partnerships with existing schools that would allow for Cortland to provide ages 3 – 1st grade while the partner agency provides through at least 8th grade. For detailed, specific info, especially for those who have already attended a prior meeting, please contact director@cortlandpreschool.com to schedule a meeting or phone call.